Likely you came here to learn more about this french press because just as we mentioned in our featured article — this is a French press that truly impresses. The Bodum Columbia coffee maker has an incredible thermal design that keep coffee hot and the stainless steel exterior provides an elegant quality to your kitchen counter top. What is truly impressive about this coffee maker is the size. You can purchase a 51-ounce coffee maker which serves up to 12 cups of coffee. This French press by Bodum knows how to serve with style. 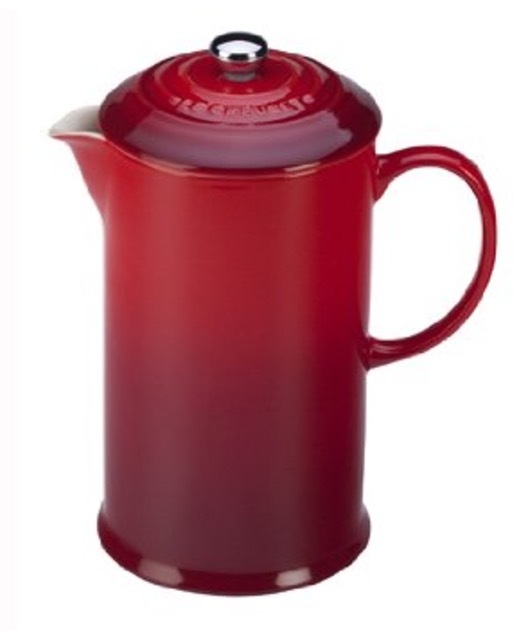 The sleek and stylish steel design of this Bodum Columbia is the main reason for the alarming price tag. However, the quality this company puts in their coffee maker is unbeatable. The stainless steel style is made with a double wall which gives it superior thermal ability. This is a coffee maker specifically designed for a specific coffee drink. It was designed for those who prefer a hot cup and also those who enjoy a classier coffee maker to pour it from. For the winter seasons, a hot pot of coffee makes the mornings much more bearable — especially if you have to go out and shovel the driveway. In addition, the thermal abilities of this coffee pot allows you to brew some long lasting cold cups of iced coffee. Bodum claims you can keep coffee hot for up to 2 hours. And, likely the thermal control of the coffee maker will allow you to enjoy iced coffee for a litte while under to scorching sun. 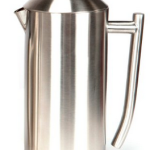 As mentioned, the Bodum Columbia coffee maker is designed as a French press. If you’re unfamiliar, we have an extensive guide about this kind of coffee maker as well as an article about how to make good coffee with a French press. The important point to mention is that this Bodum coffee maker includes a stainless steel plunger and mesh. Not only is this fantastic for easy clean up, but it is also allows you to make rich tasting coffee. The finely made steel mesh extracts all the essential aromatic oils and hidden flavours of your coffee bean. If you were using coffee filters before, you’re going to enjoy a very new experience after you try a cup of coffee from this. In case you didn’t realize, the rich flavor of coffee comes from extract oils. These oils often get absorbed into a paper filter costing you some of the best tastes a cup of coffee can provide. There is something very smart about the way coffee maker was designed and that’s with its patented safety lid. When your coffee is ready, this lid will ensure that nothing spills. This is a common concern with other types of French presses. With this concealed and secure lid, it’s an assurance that keeps your coffee hot and your pants free from unwanted stains. Also, the friendliness of this coffee maker doesn’t stop there. 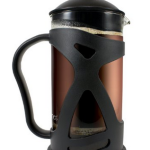 The Bodum Columbia French press is dishwasher safe. This lets you pour out the coffee, put it in the dishwasher and forget about it as you move along with the rest of your day. If you enjoy more than one cup of coffee in the morning, the 12 oz. coffee maker is the ideal choice to make. There is some hesitation mentioning this to you, knowing that we are all coffee lovers here, however a French press has multiple uses. Not only does this style of maker allow you to produce some of the best coffee, but it can also be used for tea as well. That might be great if your grandparents come over and enjoy some traditional pekoe and biscuit. We’re not the only ones who believe in this coffee maker. Here’s what others who already own the Bodum Columbia have said. 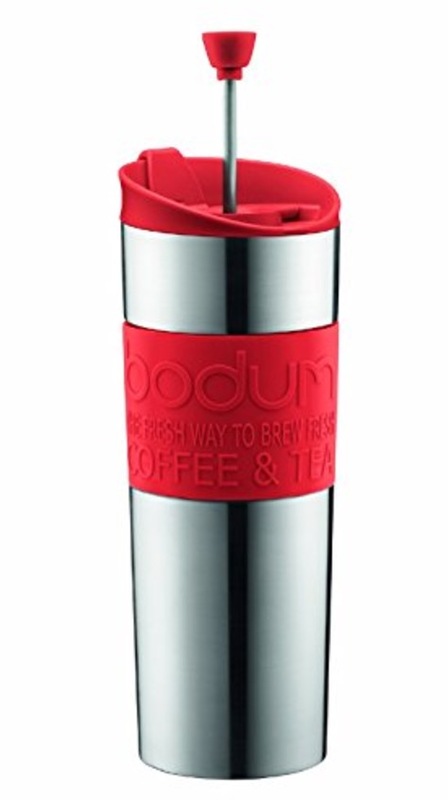 “Both the styling and craftsmanship in the Bodum pot are very good. It feels somewhat luxurious to handle and the pour spout is excellent,” was Heather’s reply. Take it from us or the words of others, this is a great maker for coffee — and, perhaps tea, too. While you may be quick to think that the price of the coffee maker is an immediate deal breaker, don’t forget about the incredible quality that comes with it. The thermal construction provides you with both hot cups and chilled coffee ideal for enjoying coffee just as you like it. And, the true quality shows itself in the shiny steel design. This is a coffee maker you definitely want to have for you next party with your friends.